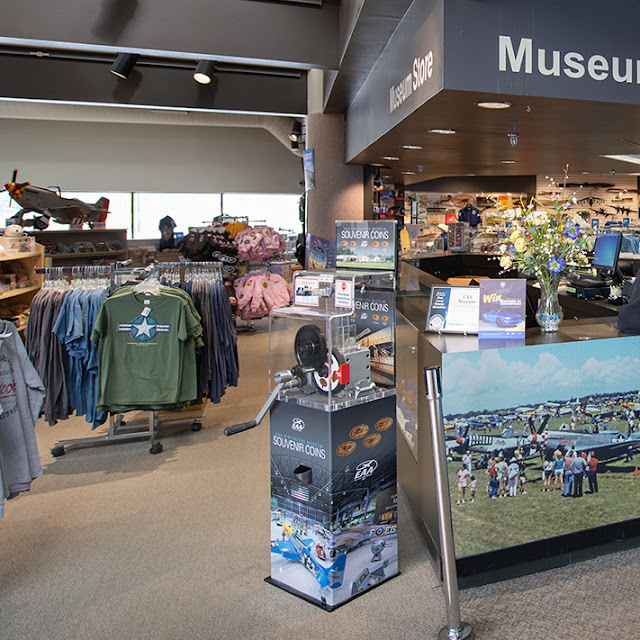 It is nearly impossible to attend EAA AirVenture Oshkosh without stopping at some point in one of EAA’s retail stores to browse through the racks of t-shirts and take your annual look at the many incredible designs on their apparel and merchandise. With so many outlets on the field during show week, it is hard to walk 100 yards without passing by one of them. 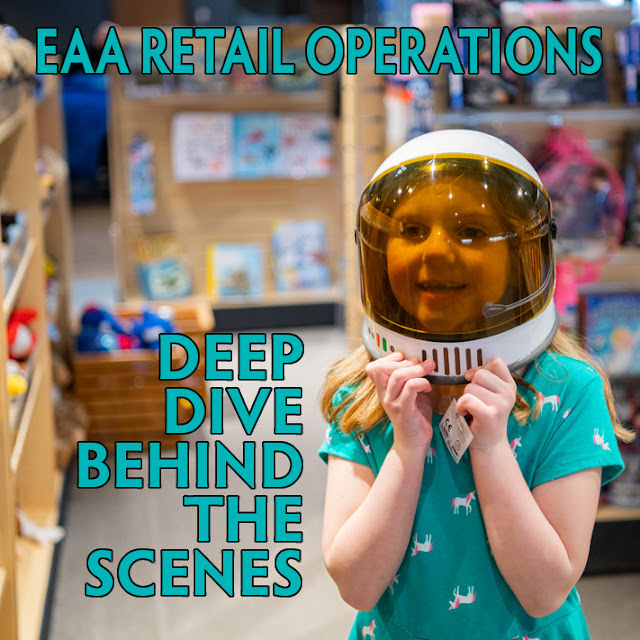 I have always been impressed with EAA’s retail operations – it is just one more element of “the world’s largest aviation celebration” that seems to be done right. But like all of AirVenture, when you stop to think about what goes into these elements behind the scenes, it is mind-blowing. KOSH turns into a new city for a week, and thousands of dedicated volunteers work alongside EAA staff for months to bring the grounds back to life each spring right after the snow melts. 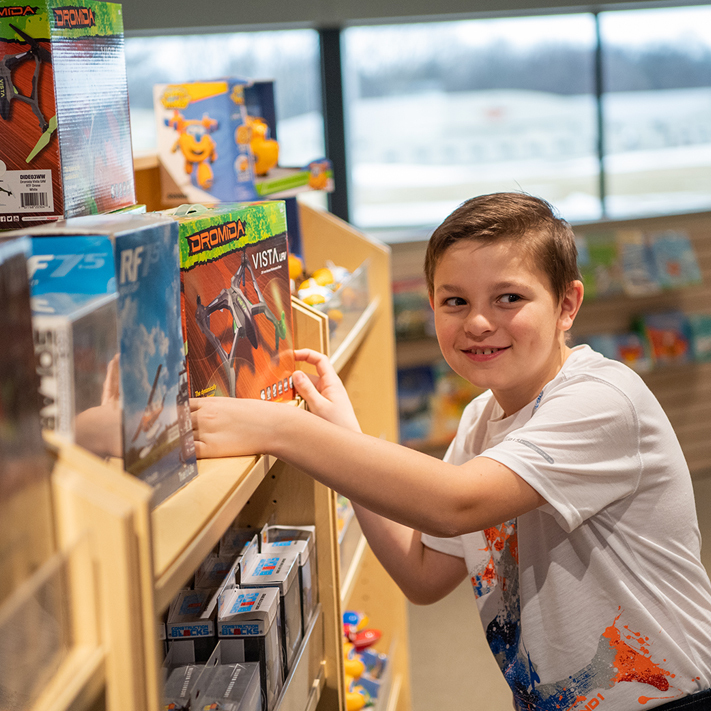 To dig deep into the backstory of just how those t-shirts and other EAA Airventure merchandise ends up on the racks at the show, Airplanista recently interviewed Nancy Tribble, EAA’s Director of Retail Operations. She’s been an EAA employee for seven years, and leads the team that is responsible for AirVenture’s retail and grocery operations, as well as the year-round operations at EAA.org/Shop, the museum gift shop, merchandise for the B-17 and Ford Tri-Motor tours, EAA Chapter and Lifetime Member merchandise websites, and the Print & Mail department. AIRPLANISTA: Describe the overall EAA retail operations during AirVenture. How many outlets/stores are up and running at the show, and how many people does it take to staff it? NANCY TRIBBLE: We have nine retail locations and six grocery locations on the grounds, plus the gift shop at the Museum. A team of five people works year round to prepare for AirVenture. Each person has a specific role – one person buys all the clothing, caps, etc., while another obtains the books, models, toys, etc. Another of our team maintains the website and museum gift shop, while the fifth person handles the distribution center on the grounds. We hire 15 people for 4-8 weeks starting in June to help us set up and manage a location. A wonderful group of volunteers also comes in late June to help us process the merchandise. Finally, we hire 95-100 people for the week of AirVenture to staff each location, some as young as 14 years old. About 45 percent of those people come back every year. It’s fun exposing young people to aviation through AirVenture jobs, and we are proud to say that some go on to become pilots or pursue an education in aviation. AIRPLANISTA: In terms of preparing EAA’s retail operations during show week, when does that start each year? I want to know not only the physical aspects of setting up the stores, but also the planning of what products you will sell. 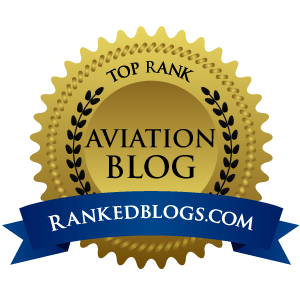 NANCY TRIBBLE: My team starts planning for the next AirVenture in September, after a month or two of building cleaning, inventory count, sales reviews, and reading suggestions from our members. We start meeting with vendors in September and October to see the new merchandise in the marketplace. We select sweatshirts and jackets in the fall, then polo shirts and our largest category of T-shirts in January. How-to books, toys, mugs, etc. are obtained throughout the year. Along with that, we review each building’s layout and look at better traffic flow, what fixtures we may need, and so forth, just as one would do at any retail store. Merchandise comes in all year for the gift shop and website but for AirVenture, it comes by the truckloads beginning in March. The main sales building, what we call the Wearhouse, is our staging area. We then start to move the merchandise into each building or tent at the end of June. AIRPLANISTA: Speaking of products, how are decisions made as to what EAA branded merchandise is offered in your retail operations? Walk me through the process. Is just you that comes up with the ideas for a new thing to sell, or is there a committee? NANCY TRIBBLE: For T-shirts, our largest category, we select AirVenture designs based on aircraft anniversaries that year, aircraft that are coming to Oshkosh and what’s trending in the market. The how-to items are a major focus year round. 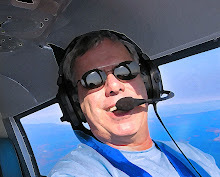 We look for anything we can provide our members that supports aviation education. One excellent example is the new Flight Test Manual and test cards for homebuilts. Our members truly benefit from that and they’ve shown it, as we’ve sold over 2,000 copies since last fall. AIRPLANISTA: Some of your t-shirt designs are great. How are they designed, and who is involved in creating the art we see on the shirts? NANCY TRIBBLE: All of our vendors submit designs to us, based on anniversaries and aircraft that are coming to the show. We get hundreds of designs and narrow them down to the top 50. AIRPLANISTA: What are a couple of products you have personally been involved with bringing to the stores that you are most proud of? NANCY TRIBBLE: One change that our team made is offering four different price levels of polo shirts while maintaining quality throughout. In addition, our main event T-shirt designed by Paul and Kimberleigh Gavin has always been an excellent seller. I’m especially proud of some of the little things our team does. For example, closely watching the T-shirt market, which has changed dramatically over the last 10 years. Fabrics have become softer, more durable, stain resistant, moisture wicking, and so forth. Also, we have all of our caps custom made without a button on top for better comfort when pilots wear a headset. We want to make sure we are always offering the best quality whether it be in a pocket T-shirt, jacket, polo shirt, or sweatshirt. AIRPLANISTA: Walk me through a t-shirt order from the idea for the art to the approval to sell in the stores, to the ordering of the shirts, and finally delivery. NANCY TRIBBLE: It starts with the designs I mentioned previously. Once we narrow it to the final 50 designs, we dissect each one to ensure every detail of a featured aircraft is correct, from the wheels to the fuselage. If changes are needed we communicate with our vendors until we give final design approval. Then we think about quantities of each and where they will be sold during AirVenture. Only then can we give that one final approval and place the order. Upon receiving the T-shirts, there’s a quick quality control to make sure the design is perfect. Then we price the merchandise, hang or fold each shirt, box it up, and label it with the location where it will be sold. AIRPLANISTA: Can you give me a ballpark number for approximately how many total clothing items EAA orders to have available in the AirVenture stores at the show? NANCY TRIBBLE: From kids to adults; outerwear to T-shirts, we order approximately 48,000 pieces of clothing! AIRPLANISTA: What is the percentage of total sales from the website – ecommerce store versus stores at AirVenture during show week? NANCY TRIBBLE: AirVenture accounts for about two-thirds of our year-round business. The EAA website and museum gift shop add about fourteen percent each of the total, and then six percent comes from the Tri-Motor and B-17 tours. Business is good – it’s grown about 45 percent over the past seven years because we pay close attention to design, price, and quality. What people often don’t know is the revenue from these sales go right into EAA’s educational programs to grow aviation participation. AIRPLANISTA: If there was one thing you could add to the stores for sale that is not there now, what would it be and what would it take to get that item on the shelves or racks? NANCY TRIBBLE: We always want to get better with what we offer and grow the selection, too, if it makes sense. We continually receive ideas from EAA chapters, members, business partners and others. Aviation-related vendors reach out to us year-round with new items; it’s kind of like Christmas all year as things come in! We can’t offer everything for everyone, naturally, but often the aviation vendors on the AirVenture grounds during the week offer great items that we can’t carry. If we could offer more how-to books and DVDs for our members, we would fill the shelves with them.